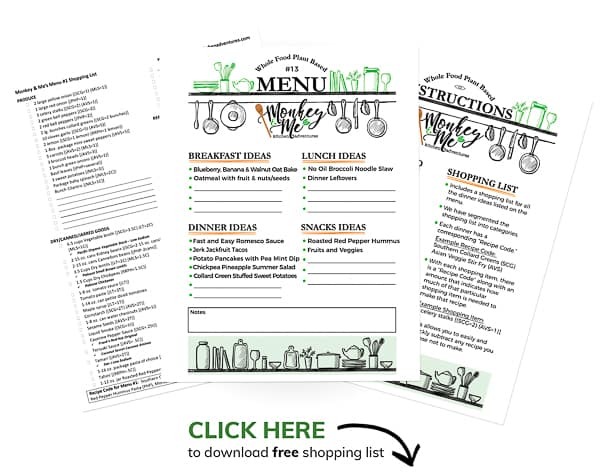 We are so happy to share with you that our Monkey and Me Weeknight Meal Menus have been huge hits. We received a lot of excellent feedback. 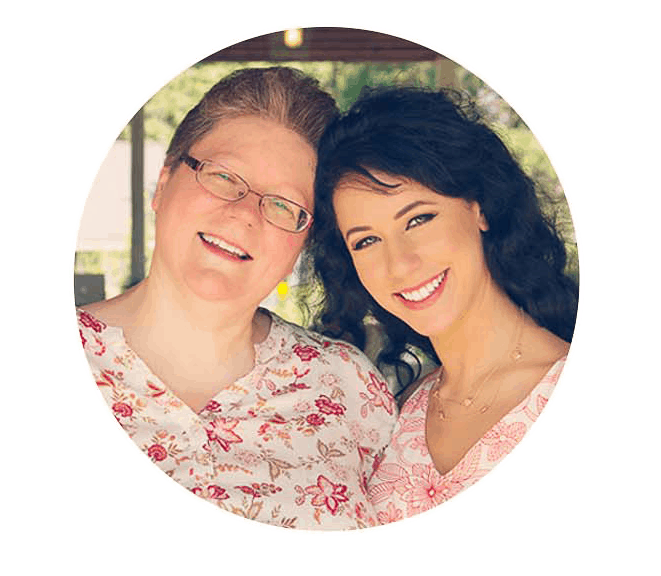 This week we are very excited to feature some of our favorite foodie bloggers in Menu #13. 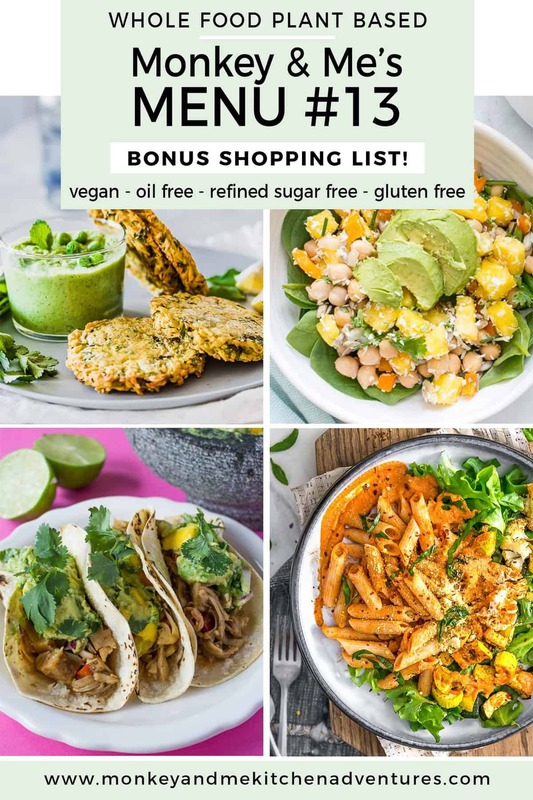 All recipes are Whole Food Plant Based, vegan, no oil, no refined sugar, no highly processed ingredients, and gluten free. Note: The term “Whole Food Plant Based compliant” is from a general standpoint. 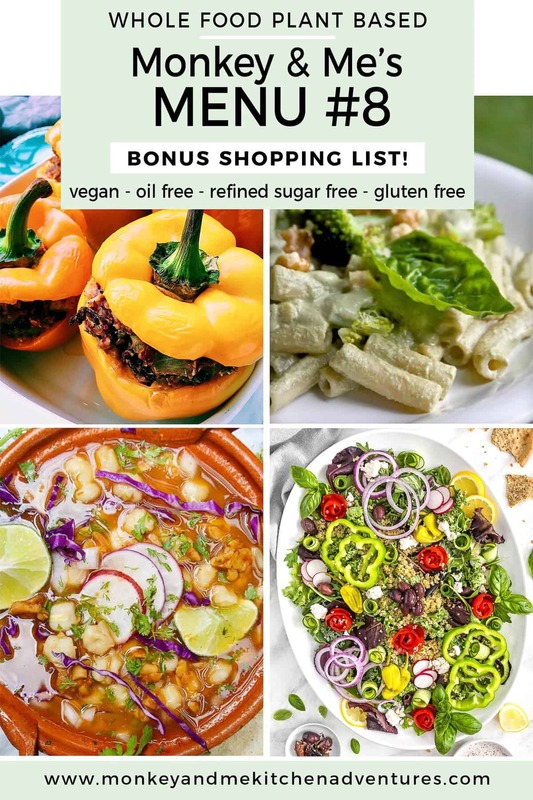 There are Whole Food Plant Based diet branches that restrict certain food items. 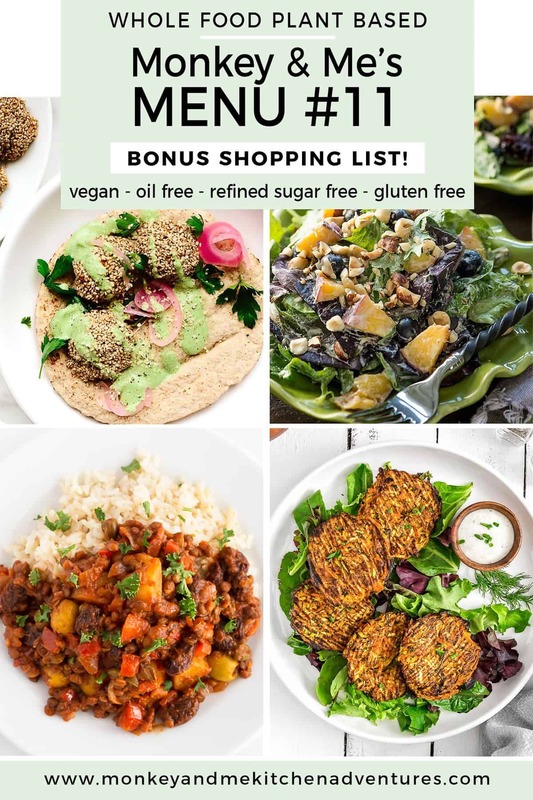 Our recipes are all Whole Food Plant Based compliant based upon a high-level compliance standpoint. i.e. vegan, no oil, no refined sugar, minimally processed foods. 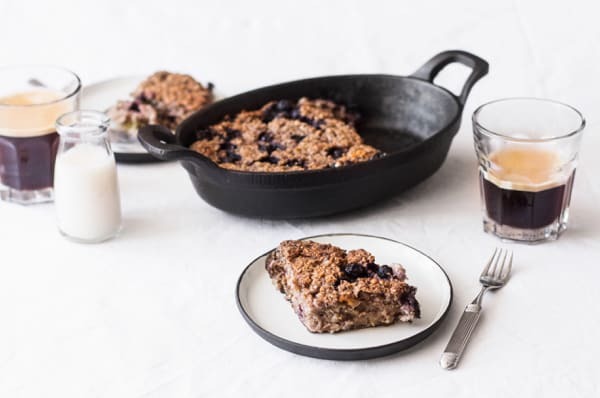 What a delicious, satisfying, and flavorful way to the start the day with this awesome Blueberry, Banana, and Walnut Oat Bake. Super simple and whole ingredients come together in the delicious dish to create a breakfast that is sure to keep you going strong until lunch! Head on over and check it out! 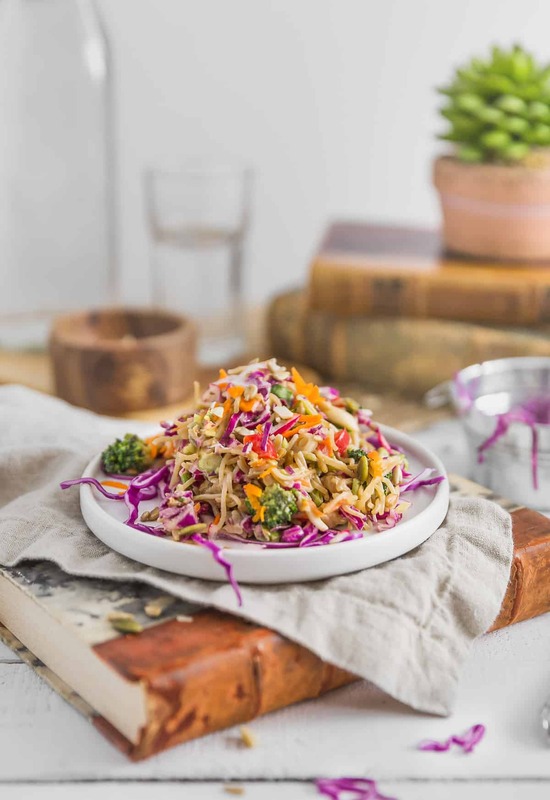 Simple and bursting with flavor, this No Oil Broccoli Noodle Slaw will transport you back in time when Asian Noodle Salads were all the rage (let’s be honest though, anything with noodles will always be the rage.) This slaw is as healthy as it is delicious! Packed with nutritious veggies and tasty noodles to make it extra special. This sunshine in a bowl is perfect for picnics and family gatherings, making it a fabulous Whole Food Plant Based recipe you don’t want to miss. Head on over and check it out! When a sauce is so delicious, its got to take center stage! This Whole Food Plant Based twist on a classic Spanish sauce is finger licking good! You’ll want to put it on everything! Drench pasta, dip bread, or drizzle veggies with this versatile sauce, definitely a winner for quick and delicious dishes! Head on over and check it out! It’s time to take a ride to flavor town with this delicious Jerk Jackfruit Tacos! 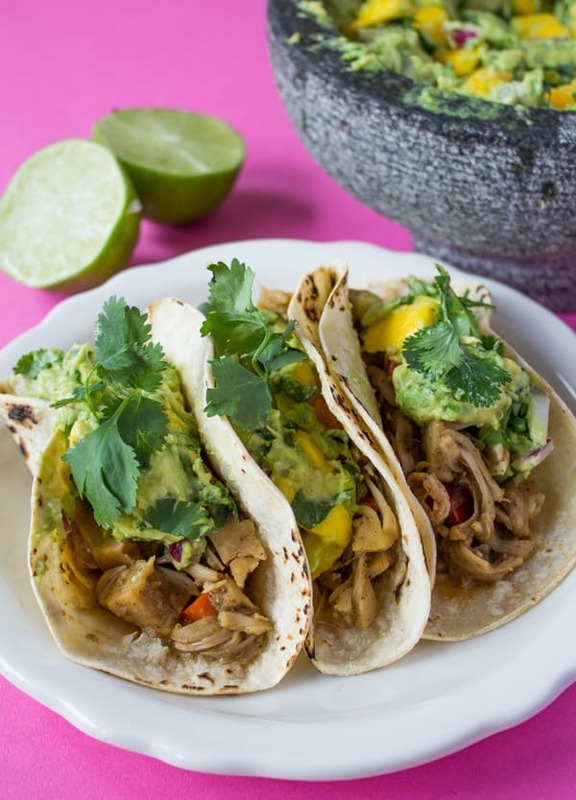 Hearty jackfruit and wholesome veggies simmer together in a beautiful aromatic broth, then pilled high on warm tortillas, and topped with Mango Guacamole for an over the top meal that is sure to please. Head on over and check it out! 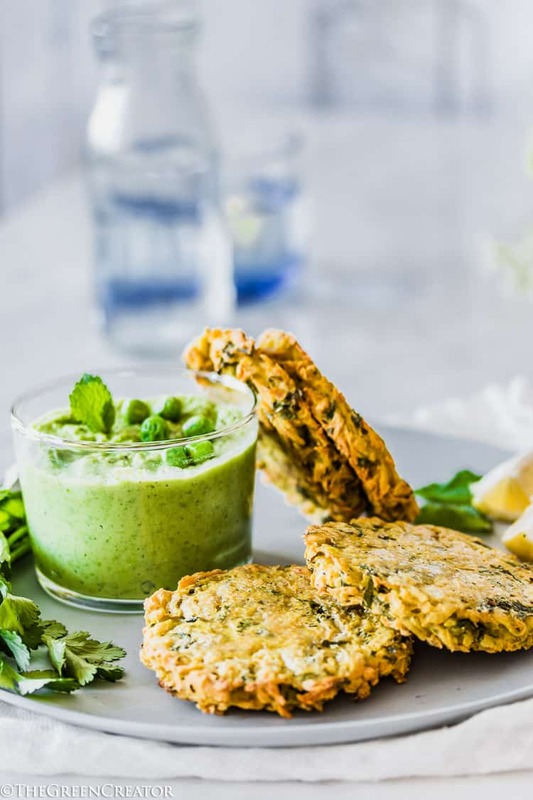 Grab a fork and get ready to dig into these gorgeous Spring Potato Pancakes with Pea Mint Dip. Crispy on the outside, and tender on the inside, these delicious potato pancakes are brimming with flavor. Dunk these hearty little patties into a fabulous Pea Mint dip for the ultimate tastebud experience. Head on over and check it out! Summer is for yummy salads, and this ah-mazing Chickpea Pineapple Summer Salad fits just the ticket! 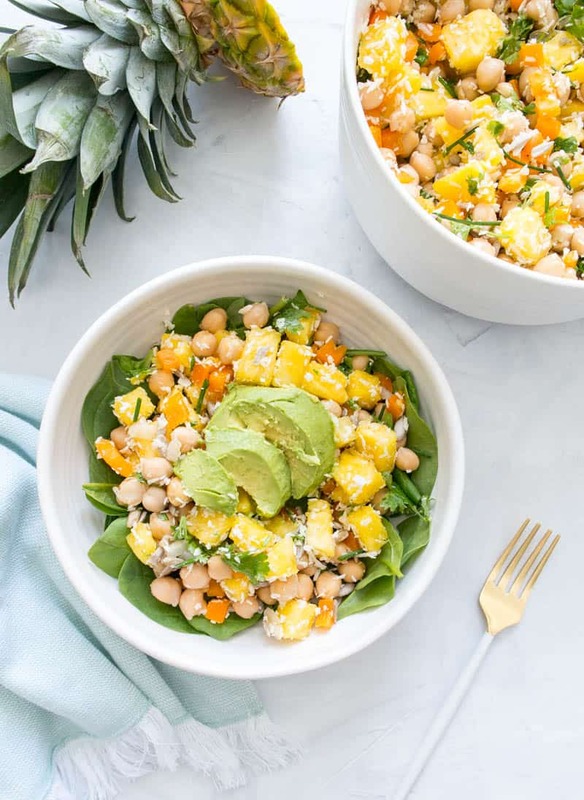 Wholesome chickpeas, sweet pineapple, crisp peppers, zesty cilantro, and light coconut tossed in a flavorful vinaigrette, pilled high on a gorgeous bed of greens, and topped with creamy avocado. A delicious dish that is sure to put a smile on your face. Head on over and check it out! 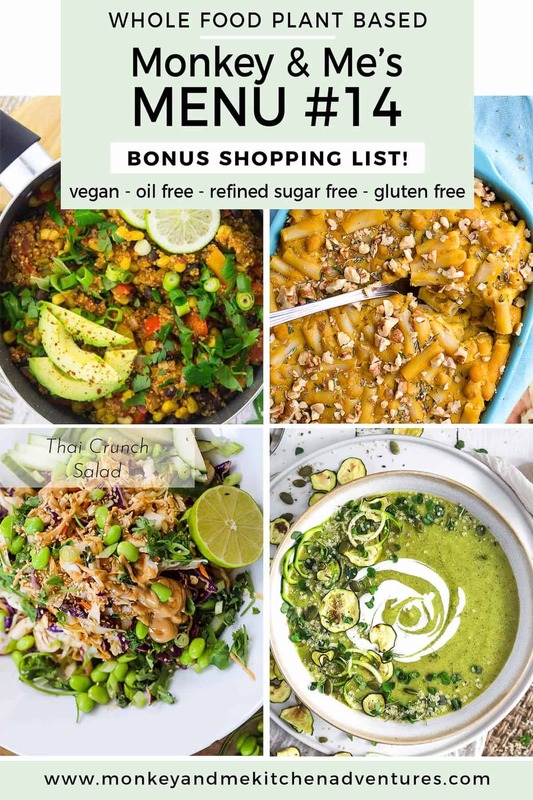 A perfect dish for when you need some tasty wholesome greens in your life, but you want it to cover all the delicious senses of savory, sweet, tangy, texture, color, flavor, and all around YUM factor. Our Collard Green Stuffed Sweet Potatoes fits just the ticket. 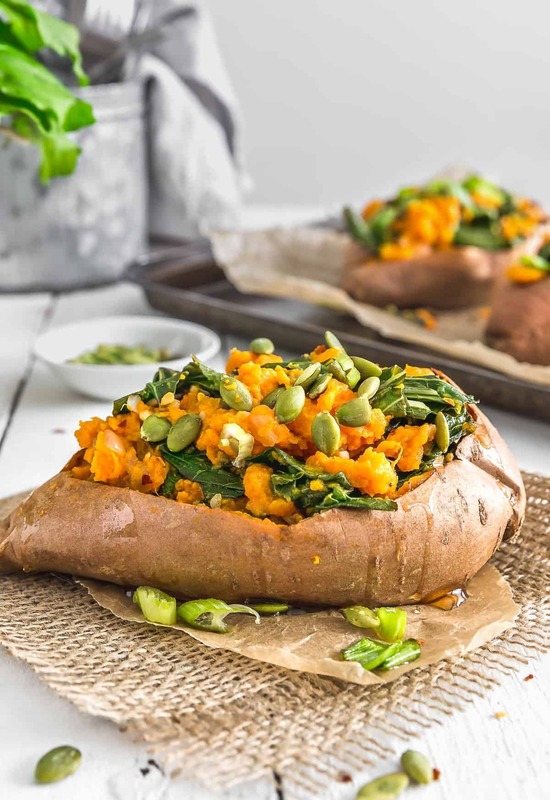 Savory and tangy collard greens cooked to perfection, mixed with piping hot mashed sweet potatoes, then stuffed back into the baked sweet potato for prettiness points, makes for a hearty and delicious meal. This recipe is as healthy as it is delicious, perfect for your dinner table tonight! Head on over and check it out! 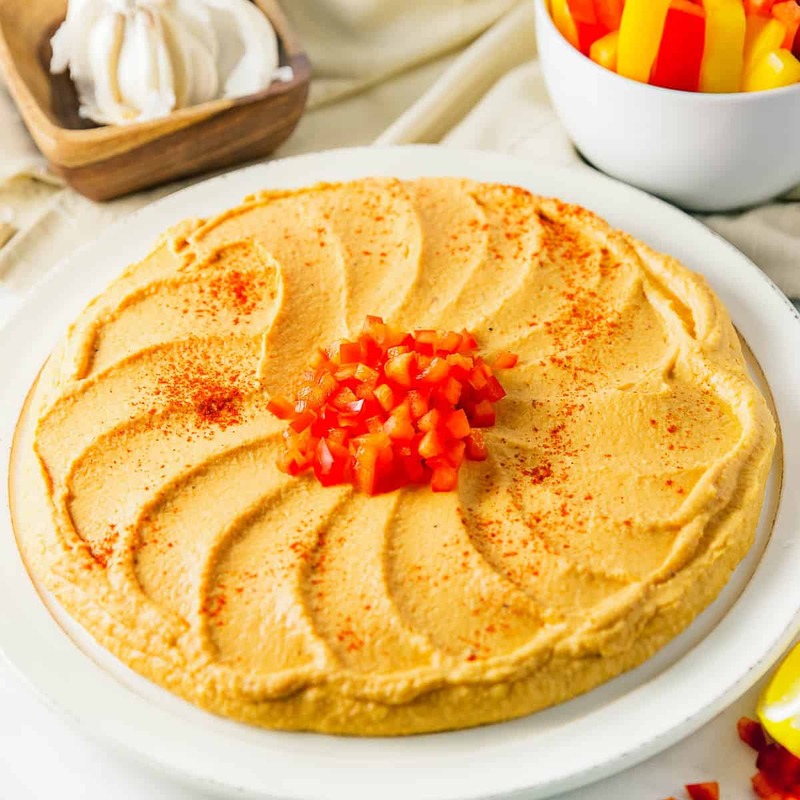 This creamy and velvety Roasted Red Pepper Hummus is perfectly accented with the rich flavor of roasted red peppers. Delicious, healthy, and most importantly satisfying, this hummus is a total must! Our hangry Whole Food Plant Based go-to snack. Head on over and check it out! I am having trouble getting to the greencreator site. I get the server not found message – is it me or is the link slightly goofed? We aren’t able to accept the site right now either. It was working earlier, possibly the site is updating. We’ll keep checking.